Through Power Pilates you will be empowered to discover your inner strength, transform mind and body, increase stamina, improve your health and achieve a new and exciting physical well being. Your body will totally transform from the inside out. Your posture will improve, your abdominals, back and buttocks will strengthen and become more visibily toned, and your arms and legs will become leaner. Your energy level will dramatically increase. Chronic back pain and other debilitating physical ailments will decrease significantly as your range of motion and mobility improves. Peope around you will notice a substantial difference in your overall appearance. Through Power Pilates, our students discover a profound sense of community. 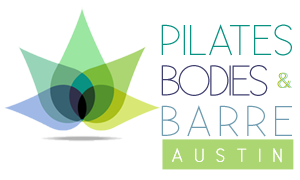 From our beginnings, Power Pilates has sought to create a Pilates community in the spirit of Joseph Pilates - energetic, committed and ever evolving.